A Brazilian newspaper editor who campaigned against corruption in Mato Grosso do Sul state has been shot dead, police say. Paulo Rodrigues was killed by gunmen riding a motorcycle in the city of Ponta Pora, near the Paraguayan border. The border region is known for drug and gun smuggling, as well as political corruption. Last week another Brazilian journalist who exposed corruption - Mario Lopes - was shot dead in Rio de Janeiro State. 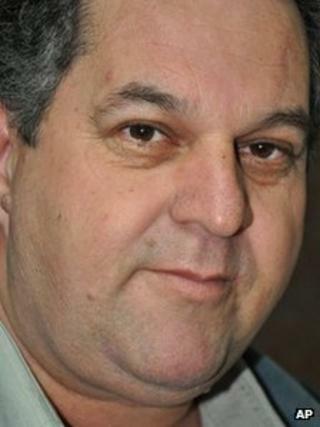 Paulo Rodrigues, 51, was editor of the Jornal da Praca newspaper and the website Mercosulnews.com. The gunmen fired 12 shots at him as he drove through Ponta Pora, hitting him five times, police said. He died of his wounds in hospital. Colleagues said the motive for the killing was a mystery. "He was a critic, but he was beloved," photographer Leo Veras told the Associated Press. "The newspaper defends the poor in our city and Paulo criticised corruption, but he was respected by leaders," he added. Mr Rodrigues was the second journalist to be killed in Brazil in recent days. Last Thursday website editor Mario Randolpho Marques Lopes was abducted from his home in the city of Barra do Pirai along with his girlfriend Maria Aparecida Guimaraes. Both were later found shot dead. Mr Lopes - who campaigned against corruption on the website Vassouras na Net - had been wounded in another attack last July. The US-based Committee to Protect Journalists (CPJ) condemned the killings. "The murders of two journalists in such a short time cast a chill on the Brazilian press and make it imperative that authorities fully investigate the crimes, determine the motives, and prosecute those responsible," the CPJ's Americas coordinator Carlos Lauria said.